You’ve given birth a few months ago and now are losing chunks of hair to the drain. You are not alone! Being a mother myself, I feel your pain. 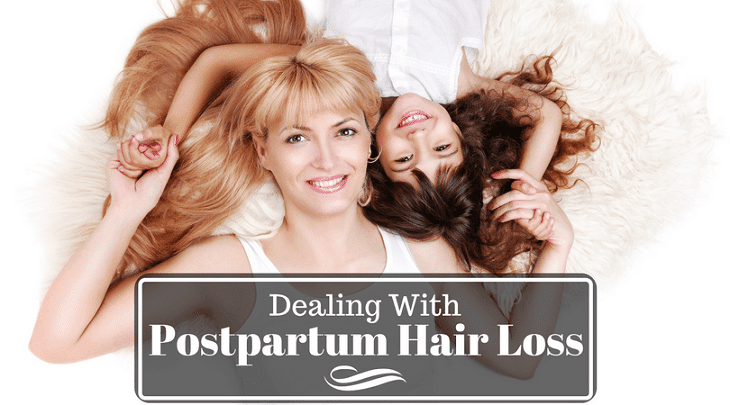 It is frustrating to see your once lustrous hair falling down after baby is out. I can still remember those times when I have to unclog the drain in the middle of my shower because my hair is falling everywhere. I even thought that at the rate I am losing hair, I am going to end up bald! Thankfully, I have overcome that phase. But giving birth to a baby is not an excuse to look haggard and unhealthy. Your doctor will say that this is fairly normal and might even be expected after delivery. Despite all the assurance, experiencing postpartum hair loss is scary! Let me help you out to celebrate motherhood by looking and feeling your best self. Childbirth And Hair Fall: Why Does It Happen? Postpartum hair loss may start on the first month after giving birth and usually end at baby’s first year of age. I have yet to meet a mother that had become permanently bald after giving birth, but losing almost half of your hair is said to be normal! Some dermatologists call this phase as moderate hair shedding. They say postpartum hair loss is temporary and reversible. The peak of massive hair loss happens at around 4-6 months. Afterward, new hair growth at the scalp can usually be felt at 12-14 months after delivery. Miscarriage can also result in hair loss. Stressful health conditions, hormonal imbalance, and chronic illnesses may also cause you to shed some hair, but they will eventually grow once the body has recovered. 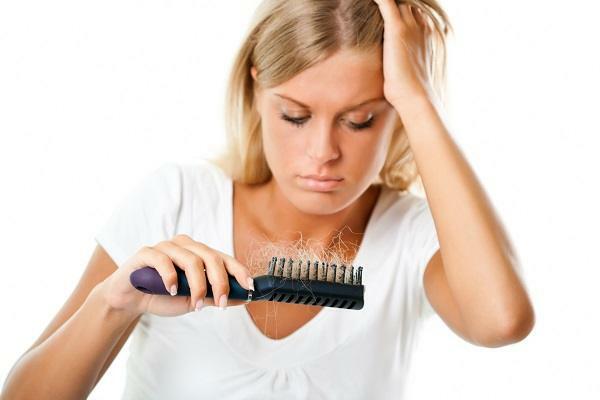 Sleep deprivation, too much stress, depression and an unhealthy diet can also contribute to how much hair you lose. Balding at one or two spots (usually at the temples) may also happen. So unless new hairs do not grow out in a year, do not get too alarmed. 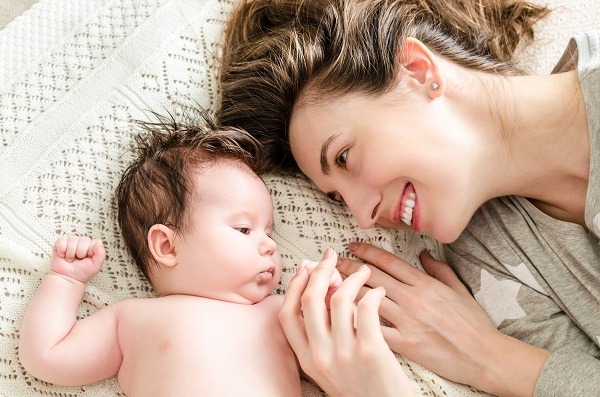 Some mothers are lucky if they have not experienced hair fall after giving birth, but they can still experience this on either baby number two or three. For others, it ends at about the same time that they ceased breastfeeding since their body’s hormones have returned to their pre-pregnant state. But I still highly urge you to continue breastfeeding nevertheless, since the baby needs it at least during his first six to twelve months of life. My best advice to you during this time is contained in one word: patience. Childbirth is a life changing event. After delivery, a mother will have at least a dozen things to do and worry every waking hour. During pregnancy, you rarely shed hair because your hormones are on overdrive. But this full head of thick hair will fall at the first few months after delivery. Why? As your doctor will say, this is a natural phenomenon. It is called T﻿﻿elogen Effluviu﻿﻿m, which happens to around half of all mothers who have given birth. What happens for one mother might not occur to another for the reasons that our body’s response to childbirth and hormone surge differs. Also, you might be anemic because you have loosed a lot of blood during delivery, and this adds to the amount of hair shed. It is OK to ask your doctor for advice during this confusing time, as she is the best person to explain to you what is exactly going on with your body. 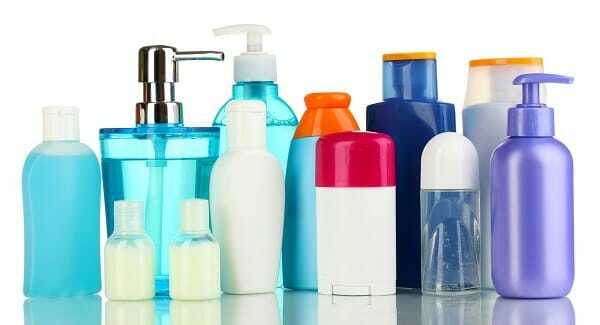 Too much hair care products might make matters worse! Even a non-pregnant woman normally sheds about a hundred hairs a day. Those who are not pregnant can experience severe hair loss with the excessive and wrong combination of hair care products. If you had just recently given birth, steer clear of too many chemicals. Any artificial substance that you put on your scalp or skin will eventually get absorbed into your system, even if in just small amounts. Besides, hair care products might cancel out each other’s functions. An intensive conditioner that worked well with you during pregnancy will just likely weigh your hair down after delivery, even if you are using a volumizing shampoo. Take note to rinse your hair well before stepping out of the shower. Flash out residue shampoo and excess conditioner since they can irritate the scalp and result to dandruff. And just like with food, your body’s chemical exposure will taint your breast milk. Choose the right natural products for your hair, consider your baby and take things one at a time. Some women experience acute thyroiditis after birth. This is true for some that have an existing thyroid condition, especially before pregnancy. Delivery is stressful and taxing to the body. It can flip the switch and activate some of your preexisting or hidden illness. Women with overactive or underactive thyroid have limp baby-like hair that is on the thin side. They are also losing more hair than usual. Another common symptom for those with a thyroid-related disease is sudden and uncontrolled weight loss or inability to tolerate hot weather. Check also your eyebrows and eyelashes. If they significantly thin out at the outer edges, you might have a thyroid issue. But before you make any assumption that you might have a thyroid related condition, consult your doctor. Take note not to pull your hair into a tight bun if you are suffering from hair fall. They are already brittle and weak to start with, anything that can make a pulling force out of the scalp will make them fall out easily. Do not brush your hair like you do during pregnancy, instead use a wide-toothed comb to smooth is out. To style your hair, invest in a hat or scarf and tie them around your head. Buy some cute hair clips and get funky instead. Skip for now on braided hairstyles and let your hair loose. Stay away from hair gels, sprays, and mousse. Avoid any styling involving heat such as hair dryer, curler or hair iron. Some will advise you to try coloring your hair, I think it is alright as long as you had already weaned your child from breastfeeding. Aside from the harmful chemicals that might get into your breast milk through these hair care products, they will also stress your hair and scalp. At this crucial stage, just allow your hair to breathe. I advise you to invest in a nice short haircut, a pixie cut that can make you look chic and stylish. I got mine after noticeable hair loss and it made me feel a little bit more normal. Long hair will take longer to comb and the extra pressure to the scalp will likely contribute to hair fall. Besides, long hair is more prone to tangles and friction, and any pulling motion will just aggravate the already fragile scalp condition. A wash-and –go haircut will also save you lots of time and energy so that you can focus more on your baby’s needs. Aside from giving your looks a boost, short hair will also add volume and movement to your limp locks. A short hair cut is also safer for baby as his fingers or toes will not likely get caught with hair tangles. Do not worry because hair will eventually grow after some time, so be patient as this hair fall stage won’t last. One helpful tip if you are going out and conscious of your bald spot: Use eyebrow powder the same color as your hair to dab on the bald area. This can also work well to mask thinning hairline at the temples. Giving birth is not a time to lose confidence over your looks! It’s normal to feel frail and weak after delivery. But you must regain that strength back through rest and the right nutrition. Your body needs all the nutrients and vitamins that you can get from food so bulk up on fruits and veggies. At this stage, to allow your body to recuperate, so eat only the freshest and healthiest food. 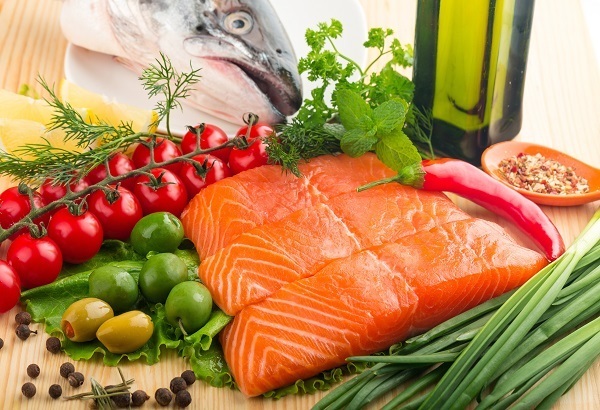 Eat fatty fish in moderate amounts, or those that are high in Omega-3 fatty acids to give your hair some shine. Stay away from anything that is junk, canned or preserved. It is better to prepare and eat your meals at home since you are most likely breastfeeding at this time. Keep your fast food and take-out meals to the minimum as these foods are usually laden with unhealthy oils and too much salt. A healthy body will recover faster. Hair fall shall stop earlier, with the right nutrition. 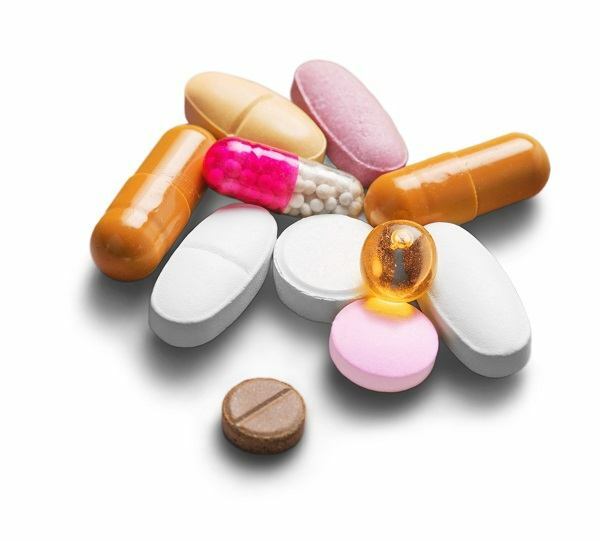 Even if the label says “all-natural”, do not ever take food supplement or vitamins for your hair while breastfeeding. What might be beneficial for your head of hair is harmful to the baby. This goes even for prescribed medications. Inform your doctor that you are breastfeeding before she prescribes you any medicine. Everything that you take in, eat or drink will eventually transfer to your breast milk so take extreme caution. If your doctor will prescribe you postpartum vitamins, take it. But if it is not prescribed, keep it out. More importantly, seek your doctor’s nod before starting any birth control pills. Since you should steer clear of oral hair vitamins or supplements, you may aid your hair loss problem with the right shampoo or conditioner. Your hair is your crown. With all that you’ve been through, you deserve to revert back to your pre-baby fabulous self! These are the shampoos that have received positive acclaim and have delivered satisfactory results with hair loss sufferers.But first, let me advise you not overdo your hair loss regimen. Just a product will do, but make sure to massage your scalp and keep it clean each time. Be patient as nothing works overnight. They work mainly by reducing the amount of hair shedding. They also keep the scalp and hair roots healthy. These will not make your hair grow faster so keep your expectations in check; in a few months of use you might see some effect. Take note to rinse out these shampoos well to prevent an irritated scalp. Also, do remember to trim your hair ends at least every other month. This shampoo utilizes the power of caffeine to stimulate hair growth. The same substance that perks you up every morning can also wake up your idle hair roots. Used by thousands of satisfied men and women, it is proven effective for postpartum hair loss. It has a component called Ketoconazole that arrests dandruff and heals scalp irritation to the core. If you are a mother who has recently given birth, I advise you to use this shampoo in the smallest amount. A small drop is potent enough to stimulate hair growth and improve scalp health in a few weeks’ time. This shampoo is indicated to fight alopecia and thinning hair due to hormonal imbalance. It has also received lots of positive reviews and a lot of people have vouched that it is effective for hair loss due to thyroid disorder and male pattern baldness. 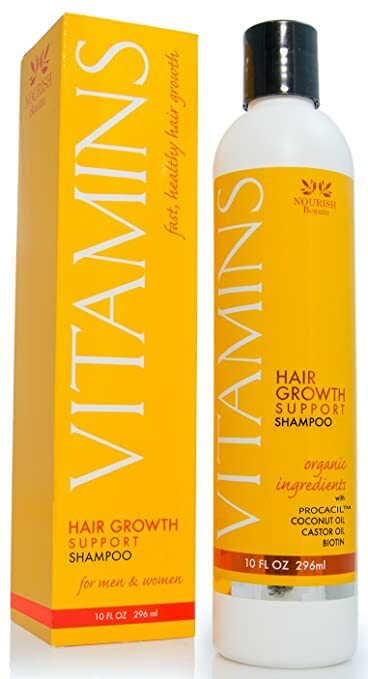 Backed with solid clinical trials, the Vitamins Shampoo is said to be effective because of its ability to increase micro-circulation at the roots level, giving hair better anchorage and strength. Overall, hair is manageable and shiny, with lots of volume and bounce. Being pregnant and giving birth is the most challenging episode that your body can undergo. It is so difficult that a few women didn’t even make it alive. In case you survived delivery and had given birth to a healthy baby, congratulations! As a mother, our bodies have tolerated far too much. With that entire roller coaster hormone surge, hair loss is expected. Take a breath and relax. As with pregnancy and child-rearing, all it takes is the right approach and information. Do not fret; you have already endured enough. Eat healthily, rest well and do not stress it out. As with everything that takes patience, your crowning hair will go back to its full glory, in time.